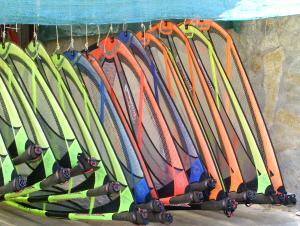 All are by Naish - Hawaii. Even the beginners ones! You'll probably only ever need two sizes because the winds here are so regular and free from gusts. A 5.5 and a 6.5 should do for most days, with maybe a 5.0 for the occasionally wild ones.